The highly regarded spiritual writer and theologian Fr. Aidan Nichols, O.P. presents an overview of the Old Testament by showing what it is and its relationship to the New Testament. He explains that it is essential for one to be familiar with the Old Testament in order to understand properly, and in a deeper way, the richness and message of the New. In particular, Fr. Nichols shows how important it is to grasp that connection in order to understand better and to believe in the message and the person of Christ. Ignorance of the Old Testament makes it impossible to comprehend the entire divine plan that stretches between the two Testaments. Nichols maintains that we are ill-equipped to read and understand the great theologians, saints, and Scripture commentators of the Christian era without a deep familiarity with the Old Testament. Even understanding and appreciating the art of the Church remains limited if the Old Testament is a closed book for us. 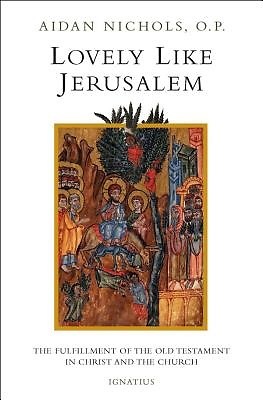 Nichols made use of studies by biblical experts from various Christian denominations--notably Evangelicals and Anglicans--in writing this widely appealing work. He also drew on the Fathers and Doctors of the Church to help illuminate the beauty of the relationship between the two Testaments.